Wall, NJ: The automated Pharmafill(TM) NB-1, Series II neck bander from packaging machinery manufacturer Deitz Co., Wall, NJ, is designed to permit free, unimpeded physical and visual access to the interior of the machine for intuitively easy rollstock setup, fast changeovers and safe, unobstructed monitoring during operation. Developed to allow entry level line workers to manage the tamper-evident banding process, the reliable Pharmafill NB-1, Series II neck banding machine eliminates the cumbersome, time-intensive trial and error method required to setup other machines that block or hinder access to the film drive mechanism while a simple, menu-driven PLC-based control panel allows quick adjustments to the parameters for smooth, automated operation. In addition, the neck bander sets the film roll unwind spool in a space-saving, vertical configuration and the film drive mechanism at the front behind a clear, plastic safety door that automatically stops operation when opened. 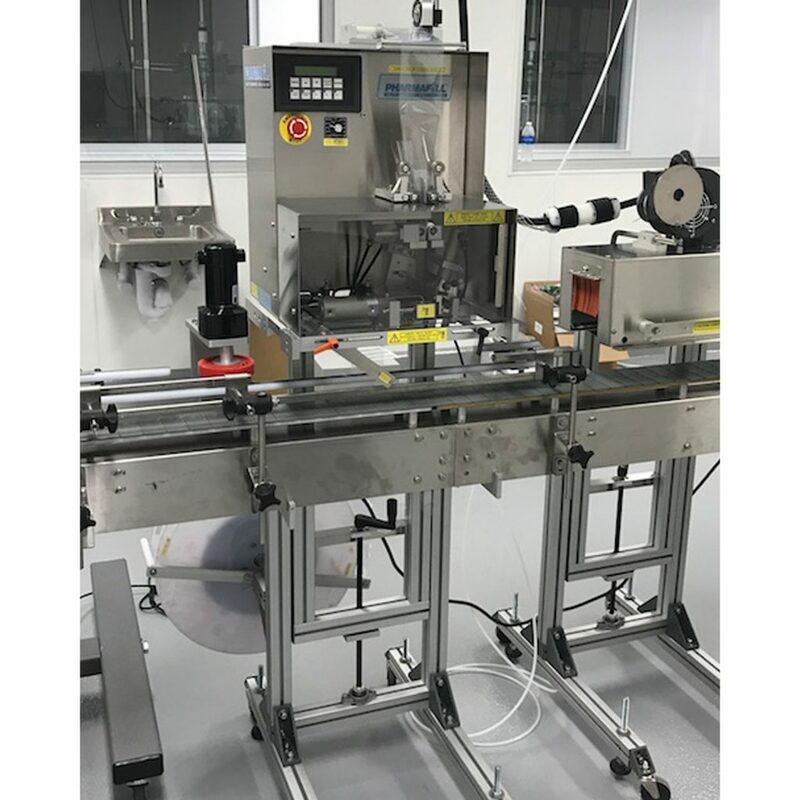 Ideal for contract packagers and manufacturers of foods, beverages, nutraceuticals, pharmaceuticals, cosmetics and other products, the low-maintenance neck band applicator automatically applies tamper-evident shrink bands and/or sleeve labels on round and tapered containers at up to 100 bottles, cans, tins or jars per minute. The versatile shrinkbander offers a wide lay-flat range that accommodates banding materials from 25 mm – 123 mm in width and up to 10 inches in length and caps from 14 mm – 76 mm in diameter. The neck bander includes an adjustable lift stand and variable speed spacing wheel as standard, while a vertical perforator and photoelectric print registration are offered as options. A companion heat tunnel and modular conveyor are also available as options.